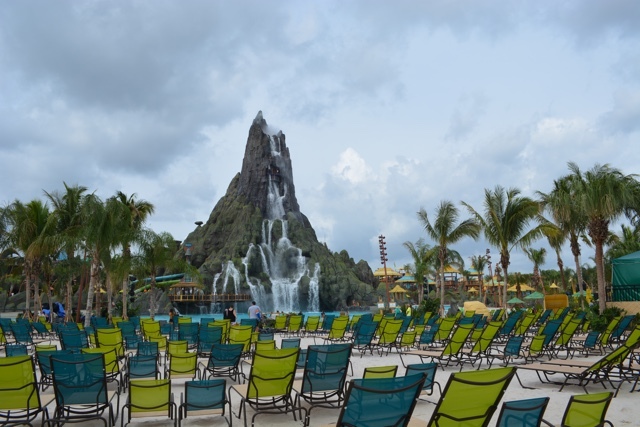 At the end of May 2017 the Universal Orlando Resort opened one of their most amazing theme parks yet, Volcano Bay. 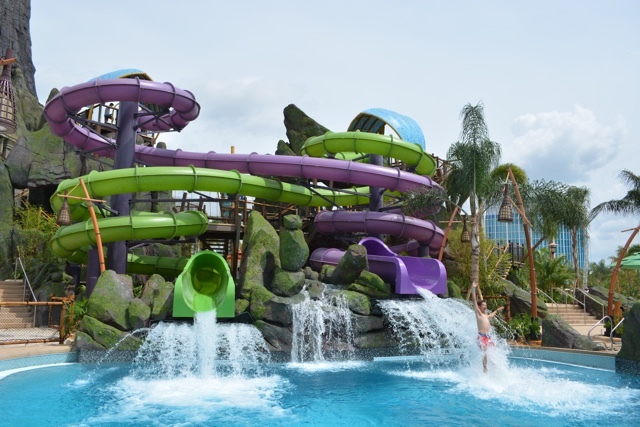 Covering 25 acres this water theme park features over 18 waterslides and attractions, from thrilling vertical drop water slides to a lovely lazy river it has something for all ages. Your visit can be fast and furious with all of the crazy waterslides or nice and relaxing or a happy mix in-between. 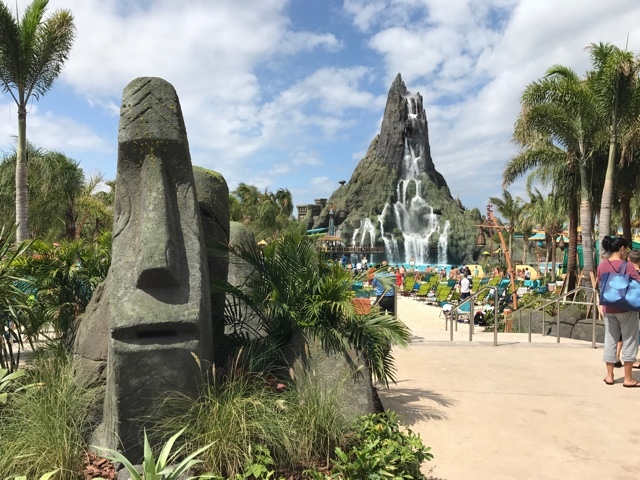 For me however I prefer the relaxing option so I have put together the ultimate guide to relaxing at Universal’s Volcano Bay. From when to go, to what to eat and even where to sit. 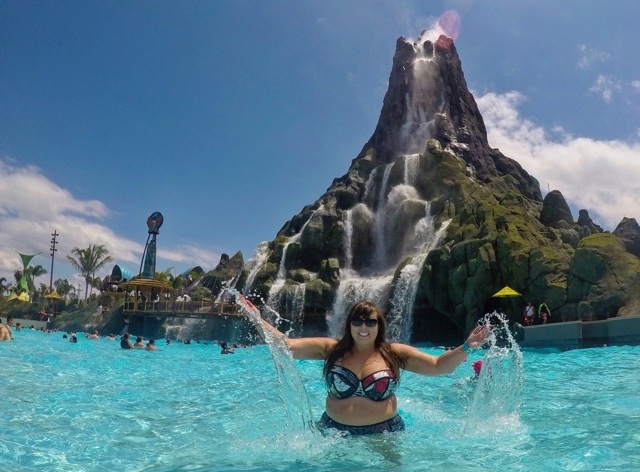 Here are some of my best tips to make your visit to Volcano Bay the most enjoyable. For a place to be relaxing to me, the less people the better. 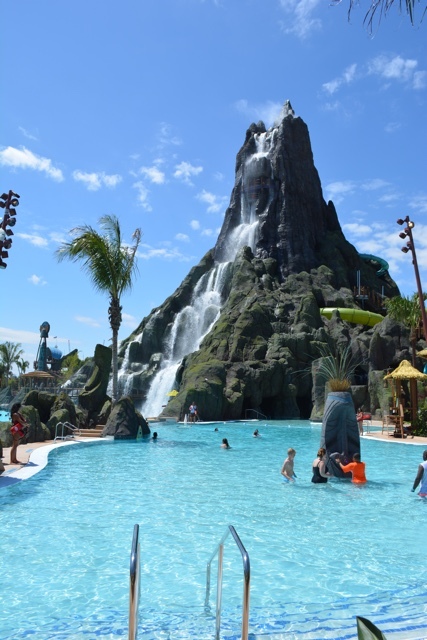 Volcano Bay however is EXTREMELY popular at the moment so that might be quite rare to experience. But if you are looking to go when there are less crowds I highly recommend visiting on a week day. Definitely avoid visiting during holidays if possible. I would also suggest planning on going first thing in the morning to beat the crowds. 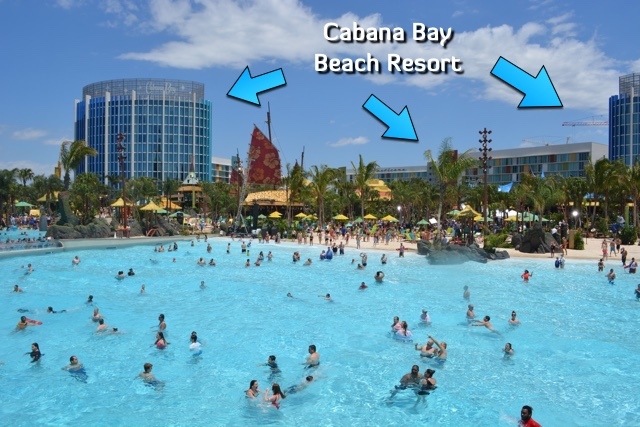 Even better yet I suggest staying at the onsite Cabana Bay Beach Resort, as guests receive early entry into the park through their own private entrance. Know what slides / attractions you really want to go on before you go and find their location on the map. Then when you arrive you can do them first before there are lines. That way hopefully you will get to also go on them many, many times. Another step to planning ahead is downloading the Universal app on your phone before you go and creating a profile. (You can also do this on the website HERE). In the profile you can then sync your park passes and your credit card information to your account. 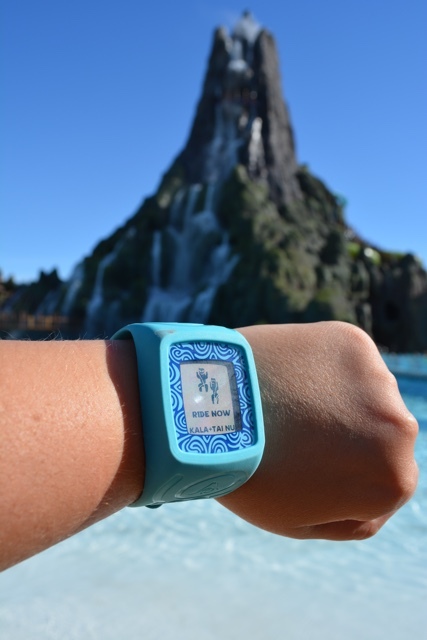 Once you arrive at Volcano Bay you will be given a TapuTapu bracelet and your credit card will automatically be linked to it so that you can pay for things in the park on the go with just a tap of your wrist. An odd suggestion for a relaxing tip but having a locker can relieve a lot of stress. You can use it to store your belongings but it can also act as a great meeting point incase your party gets separated. 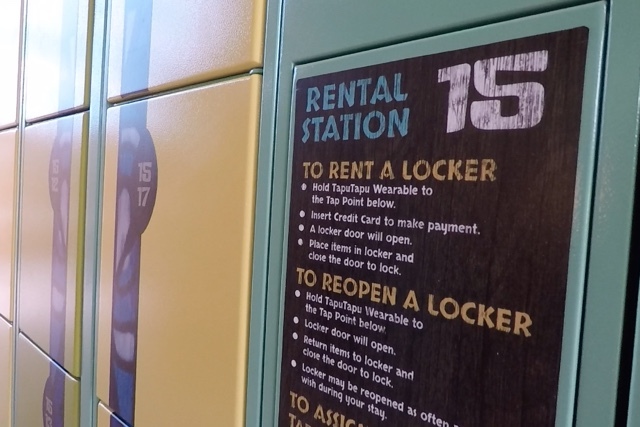 Once you rent a locker you can use it for the whole day and open it an unlimited number of times. They come in various sizes and prices and are quite convenient. 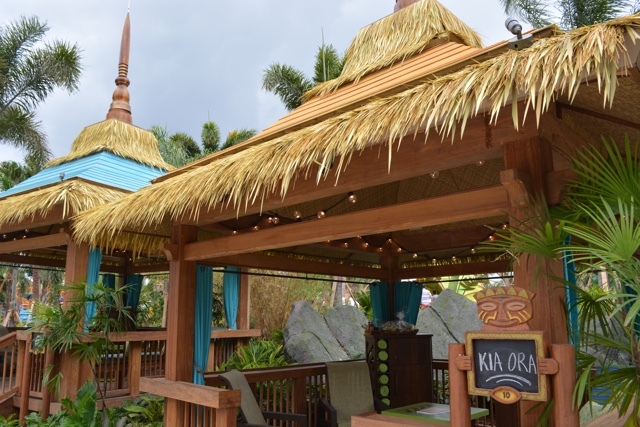 If you have some extra money to spend, the ultimate way to relax at Universal’s Volcano Bay is to have a cabana rental. With a cabana rental you have your own reserved place to sit and lounge in the sun or shade. It also comes with your very own cabana attendant to bring you food and drinks. Your cabana also includes a fruit and snack basket, extra water bottles and towels. There are single cabana units that hold 6 people and family cabana units that can hold up to 16. A cheaper option for booking confirmed seating on the beach is going with the premium seating option that gives you two padded loungers. They also feature a shade canopy, a built-in storage lock box and a service attendant to bring you food and drinks. For cabana or premium seating rentals make sure you book ahead HERE. If private cabanas aren’t an option but you still want to lay out in the sun then go for one of many lounge chairs found throughout the park. First thing when you arrive scope out the prime location for you. There are tons of options on the main Waturi beach in front of the Krakatau Volcano at the wave pool. You can also find lounge chairs by some of the water slides and at the entrance to the lazy rivers. Think smart and look for one in the shade or near an umbrella. Whatever you choose just don’t be a lounge hog who covers a bunch of chairs with their things but then never returns again until the end of the day. 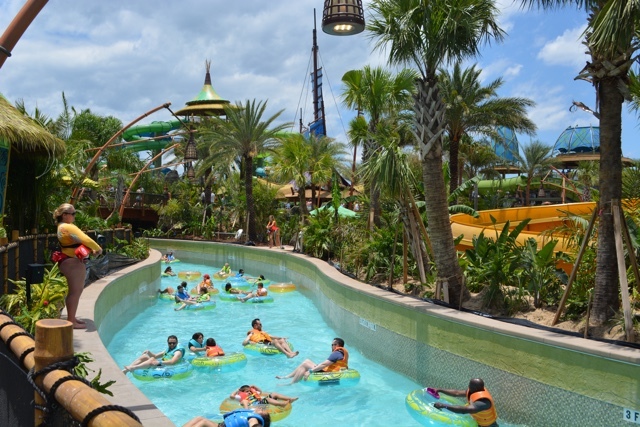 Volcano Bay has not one but two lazy rivers. The Kopiko Wai Winding River winds around the park and underneath the Krakatau Volcano revealing a night sky with glow worms. Sit back relax and let the current take you. The best thing about the lazy rivers is that they are a continuous flow and loop so you can go around as many times as you want. If you want a bit more of a thrill then you can float down TeAwa the Fearless River. Similar to the idea of a lazy river but a tad more adventurous. TeAwa features churning rapids and choppy waves for a thrilling whitewater ride. It is definitely a bit more exciting then the typical lazy river. Be sure to hold on tight. Sitting in a lounge chair at the base of one of the many slides can be quite relaxing as you laugh at the hilarious reactions of the people exiting the slides. A personal favourite of mine were the two waterslides Ohyah and Ohno. They are waterslides that when you exit you have a 4-6foot drop into the pool below. The reactions and screams of people on these slides can be quite entertaining. The pool at the base of the Ko’okiri body plunge can be quite funny too as people zoom out of the tube with a face full of water after having just plunged 125 feet at a 70degree angle. The reactions when they surface are pretty great. The wave pool lagoon at Waturi Beach is the largest pool in the whole park and is longer than a football field. You can dip in and out of the pool or just relax and float around. When you hear a bell toll that means the waves are starting and they are a lot of fun. There are nine different types of waves that occur in the pool unlike anywhere else in the world. For a calmer experience if you want an ideal, relaxing, and cool place to people watch then I suggest a dip in the Reef pool. The pool is up to 5.5feet deep and features a waterfall to relax under as well as some fun interactive totems that spray water with a touch of your TapuTapu. The Reef pool is also the only pool full of guests in the world with a waterslide that runs right through it. Not only does the thrilling Ko’okiri body plunge run through the pool but it is a clear tube so while in the pool you can see people shoot past you at lightening speeds as they come down the slide. The pool also has a great view of the wave pool and over Waturi beach for all of the best people watching. 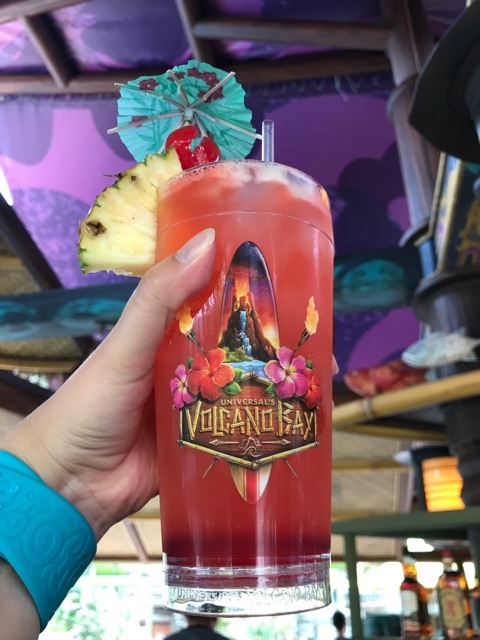 Last but not least a great way to relax at Volcano Bay of course is to enjoy all of the tasty drinks and food. From tasty pulled pork sandwiches to their very own flavour of Dippin’ Dots to delicious tropical drinks. 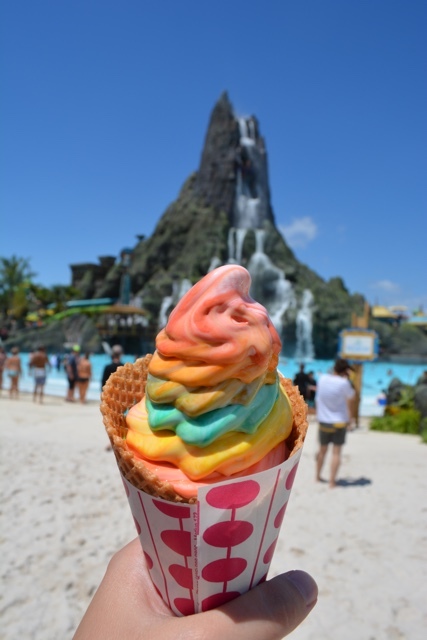 There are so many yummy things to try at Volcano Bay. There are fancy salads, hotdogs, pizza and even sushi. They also feature their own beer, brewed exclusively for the park as well as one of the prettiest ice cream cones that I have ever seen. The Waturi Fusion is made of vanilla soft serve that is injected with tropical fruity flavors. It is also very instagramable. 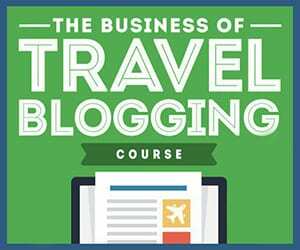 Thank you for Universal Orlando Resorts for having me as an official member of the Universal Blog Squad. As always all opinions, views and full bellies are my own.